Sherlock Holmes is a surprisingly versatile character. At his core, he’s the intellectual Hercules, he’s someone who intrigues us because his mind functions at a level so far above the average human being that we are left amazed as we watch him work. The challenge in telling a Holmes story, in fact, is in creating a puzzle baffling enough to be worthy of his skill. 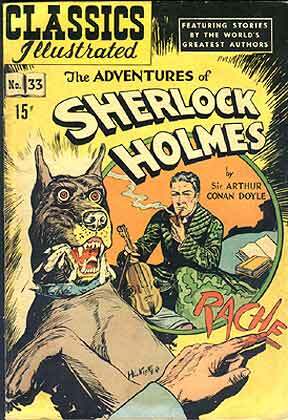 But no matter the incarnation — the classic Basil Rathbone, the high-octane Robert Downey Jr., the contemporary Benedict Cumberbatch — one of the consistent things about Holmes is that his intellect sets him apart. He’s not like other people; it’s almost as if he traded his ability to empathize for his intellect. He needs someone who gives him some of that empathy back. He needs a Watson. Holmes and Watson is one of the great fictional partnerships. Batman can exist without Robin, we’ve seen that. Dorothy can star in stories with no Toto. Renfield is merely Dracula’s lackey, and Tarzan with no Jane is still Tarzan, diminished though he may be. It’s already June as you read this, friends, and that means it’ll only be a few short weeks until the next Reel to Reel: Icons project. And seeing as how he’s coming back to movie theaters this month, how could I give June to anybody but the first comic book superhero, the character who gave the entire genre its name, and my personal favorite? Stay tuned, guys. Before June rolls away, it’s going to be Superman Week ! Posted on June 3, 2013, in 4-Icons and tagged Sherlock Holmes. Bookmark the permalink. Leave a comment.